Colombian coffee is known the world over for the richness of its varieties and flavors. But the country's coffee growing industry is in the midst of challenging times that require fresh thinking. That is why the Colombian Coffee Growers Federation (FNC) has put out a global open innovation call for help. 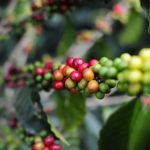 The challenge is called "CoffeepickINN" and it is a search for innovative solutions to make selective coffee harvesting in Colombia more efficient and profitable. 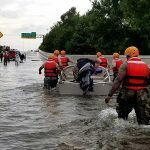 While the world looked on in shock at the pictures coming out of Houston, Texas, some people swung into action, developing crowdsourcing initiatives to help rescue victims and coordinate relief efforts to flood-hit areas. Their actions have helped to save countless lives. 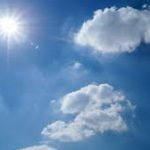 With imagination at the heart of every creative innovator and problem solver, here is a handful of imagination quotes to get yours going. In one giant leap for AI and innovation, researchers at Carnegie Mellon University and the Hebrew University of Jerusalem have come up with a method that allows computers to mine databases of patents, inventions and research papers, to create new products and solve problems. 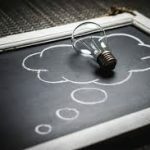 What scientists have done is devise a way for computers to find analogies, that is comparisons between very different methods and problems that have underlying similarities. 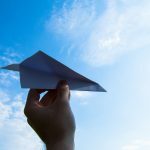 The internet and cheap air travel may well have made the world a smaller place, but there are still many uncharted areas, which we now know a little bit more about thanks to open innovation. 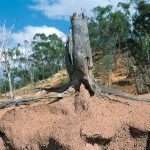 A crowd has counted the planet's drylands forests and in the process charted forests that have never previously been mapped. Do you want to hear about the latest open innovation research? Are you keen to know more about how open innovation can help your business? 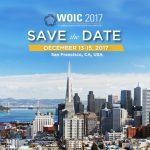 If so, point your feet toward Silicon Valley, San Francisco this coming December for the 4th Annual World Open Innovation Conference (WOIC 2017). Hair-pullingly frustrating, hazardous to health and a huge time drain, traffic congestion on freeways and in our towns and cities is one of the most irritating blights of modern life. Without changes, the problems will clearly become worse over time. To stop this from happening and to give us all space to move, transit authorities in numerous countries have turned to the crowd for help. Smart minds are needed to develop solutions. 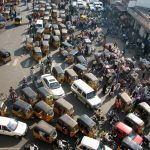 Here is a rundown of a few open innovation initiatives that have attempted to unclog our traffic-filled roads. In reaching for the stars NASA also reaches for the crowd. At the moment, the space agency is seeking folding concepts for a radiation shield for a Mars transfer vehicle. It needs to be something that can easily be packed, because with regards to space travel mass means money. And bulky items take up room that could otherwise be occupied by instrumentation or people. Capelin are small fish found in the North Atlantic, North Pacific and Arctic oceans. 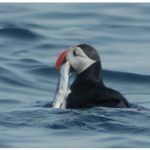 They are forage fish, which means they are an important part of the marine ecosystem as a food source of other species such as seals and puffins. They also play a role in keeping the oceans healthy. And the more we know about these fish the greater the insights into the health of our oceans and the animals that live there. But therein lies the problem, because knowledge of capelin is lacking. And so scientists are calling on the crowd to help. The internet has redefined the relationship between businesses and customers. Many firms are now turning to their audience for help and insights from the very beginning of the product development process. 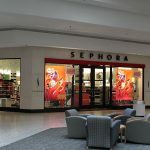 One of the latest companies to do this is the prominent retailer Sephora.